The barn was built in 1918 and still is original inside and out. It has a Dutch Gambrel roof. 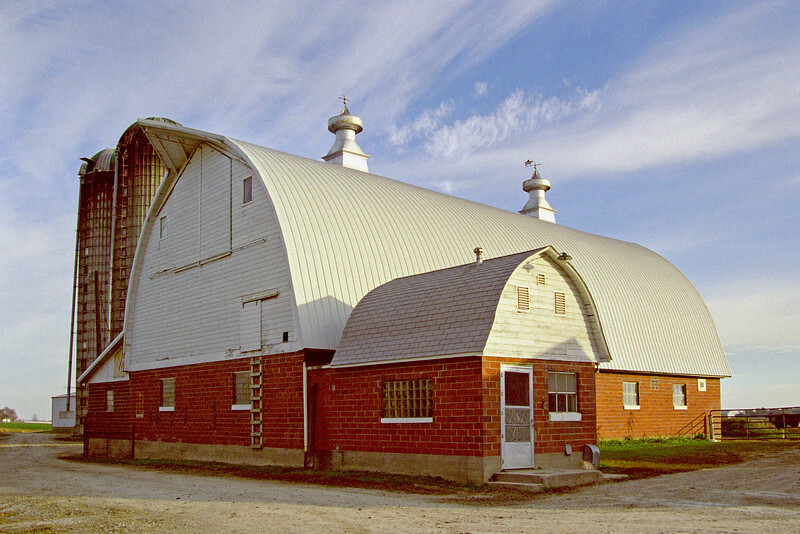 The roof has been replaced with metal, but it is the same metal that would have been used when the barn was built.The barn is unique because it has 3 gable ends. Two of the gable ends have hay doors with original hay track and carrier to haymow. There are three grain bins on the upper floor that have the original track and carrier.The haymow has a haybay (opening) to the hay racks on ground floor below. The horse and cow stalls are original. The barn is still in use as a horse barn. Octagon Barn. Built in 1883 on a foundation of locally quarried stone 14 to 16 inches thick. The barn is two stories high and each one of the eight sides is 26' long. The barn is 61 feet in diameter. The land has been in the Roberts family since the Civil War when John E. Roberts settled in the area. 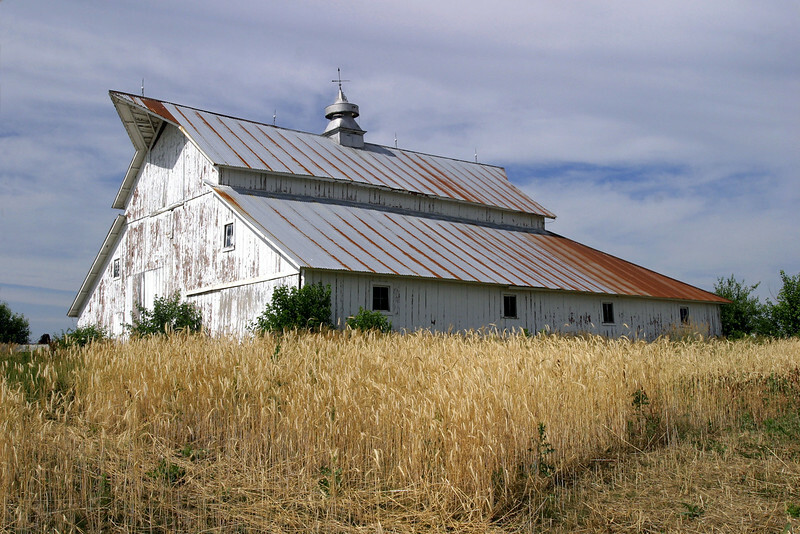 The barn is on the National Registry of Historical Places. It is still a working barn. In 1855, the Johnson County Supervisors procured 160 acres on the edge of Iowa City for a "poor farm" to provide care with economy. 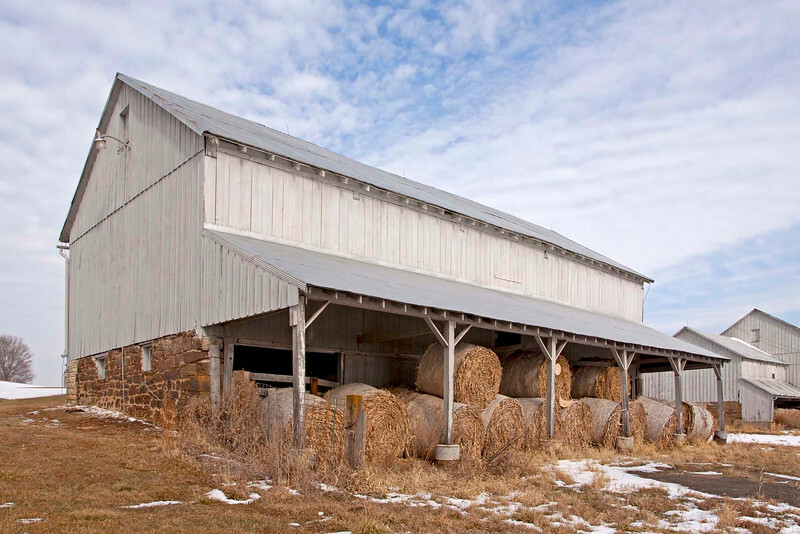 This prairie style barn with lean-to stall was part of that purchase. The barn was used as a hay/horse barn. One of the original features intact is a brick cistern outside the barn. The Pennsylvania-style barn was built in 1885. 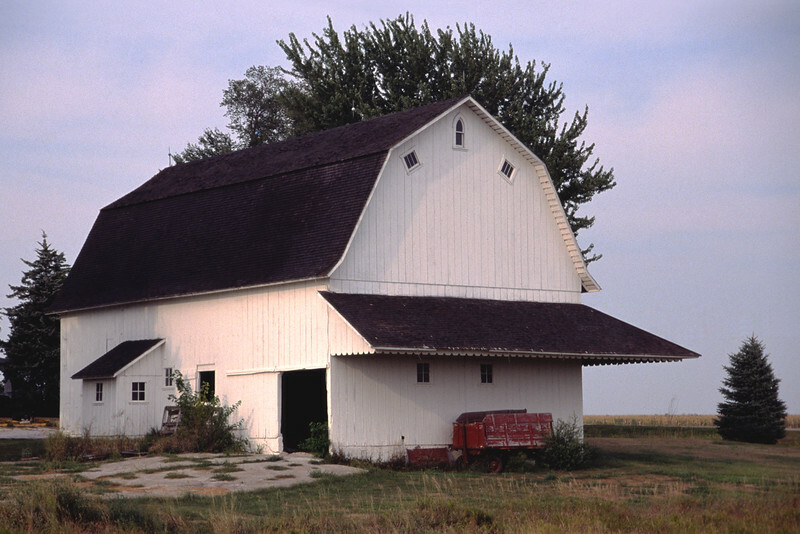 A typical bank barn with entrance ramp gives access to the second floor on the North side. The lower level with animal stalls has a protecting overhang and doors facing the South. Stone for the foundation was quarried locally as well as the lumber coming from the barn site. Hand hewn beams with mortise and tenon construction and wooden pegs. Barn was built 1940 with native oak lumber from the barn site. Beams are pegged mortise and tenons. 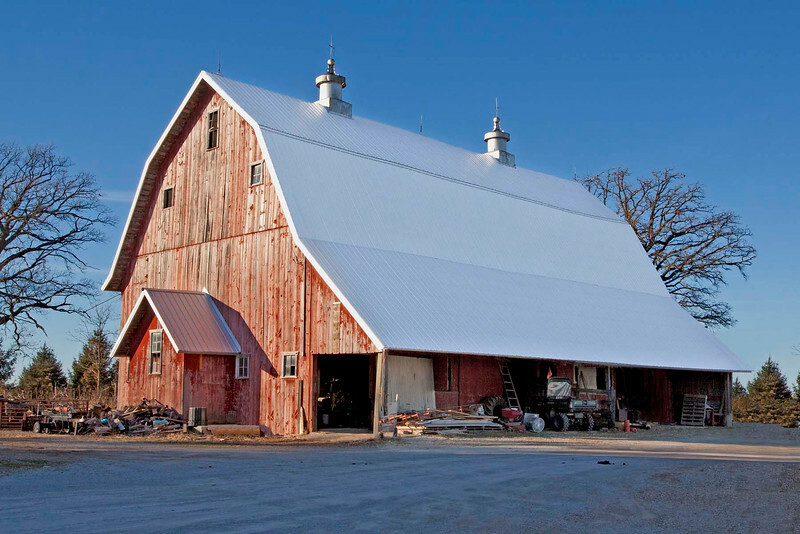 The barn has a Dutch style Gambrel roof with southern exposure over hanging roof line for weather protection to animals and to the doors into the lower level. The extended gable peak is for mounting the hayfork track and getting hay thru the hay door into the haymow. The barn is used for horses. Built in 1894, this barn has a unique center haymow which goes from ground level to the peak of the roof. It held some 10,000 bales of hay. The lower hip roof section that wraps around the center haymow was for the cattle. 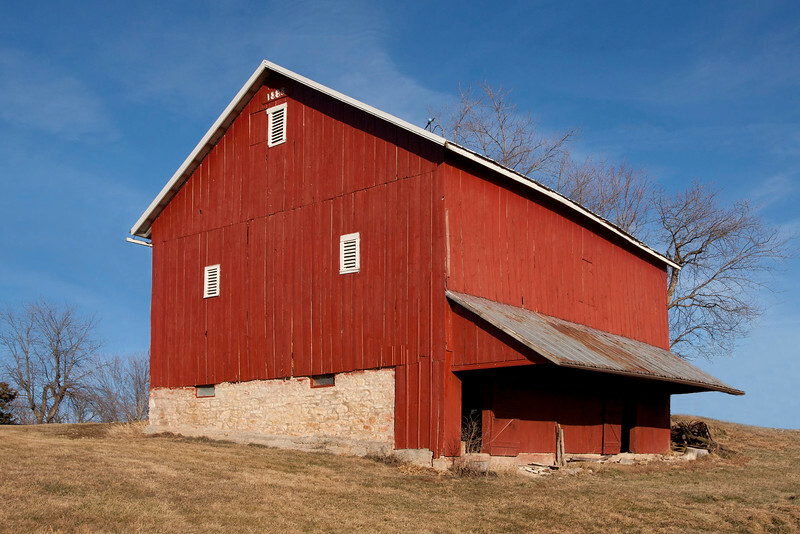 In 1997, a strong wind moved the barn a foot off its foundation and caused it to lean sideways. With ropes, pulleys and leverages, a crew of Amish men movedit back onto the foundation and straightened it. New England style barn built in 1910. The barn was built with lumber from barn site. It has haymow door on one gable end and protecting overhang on the south facing gable end. Lower lower level, with wooden partitions is used for horses. 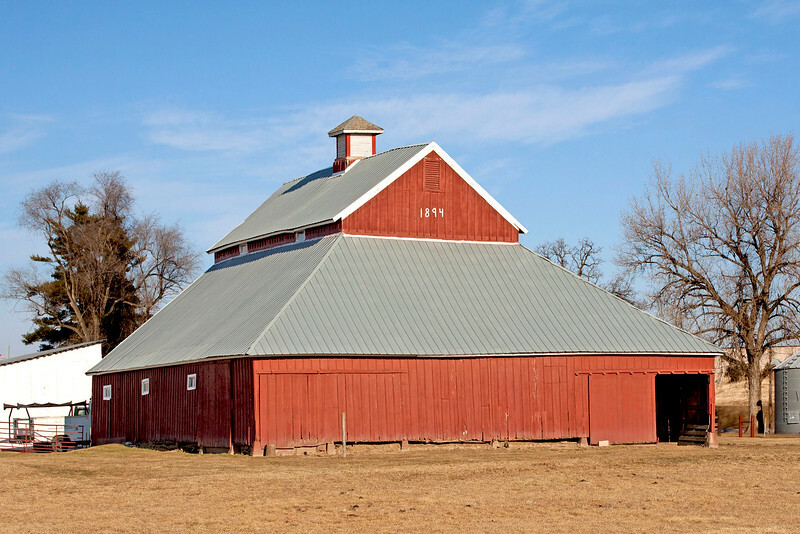 This barn, with Dutch Gambrel roof, was built in 1927. Used as a dairy barn, there is a small milke house on the west side attached to the barn.The builder's signature, tipped windows, are on the upper part of the gable end. This barn stands on land that has always been in the family. 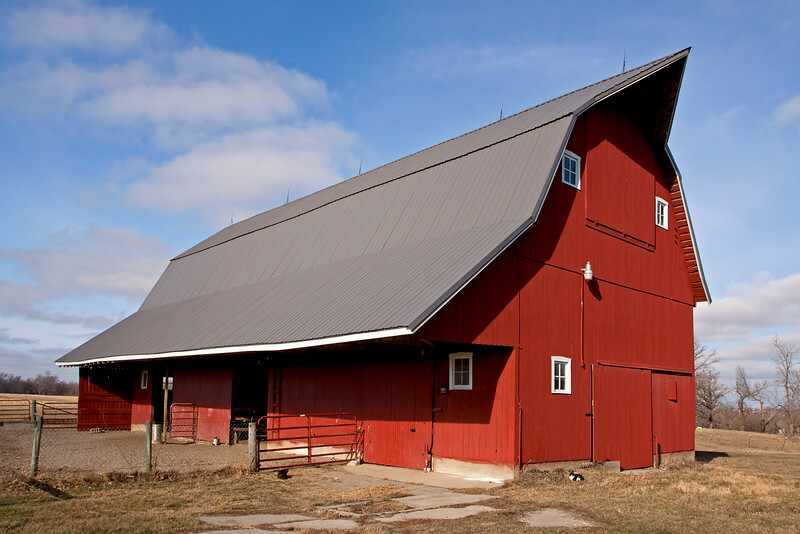 This Gothic arch-style barn is a working dairy barn. Built in 1948 by the present owner's grandfather. It is constructed of hollow clay tile on a concrete foundation and is 36 feet by 70 feet with a 14 foot lean to on the east side. The barn also features a cement haymow floor to protect the cows below in case of a fire. The gable siide of the barn has a hay door with hay track and carrier for loading hay into the haymow. The barn has a computerized milking system in the parlor which was still used in 2011 but right now has no cows in it. Gothic archDairy BarnComputerized milking system. 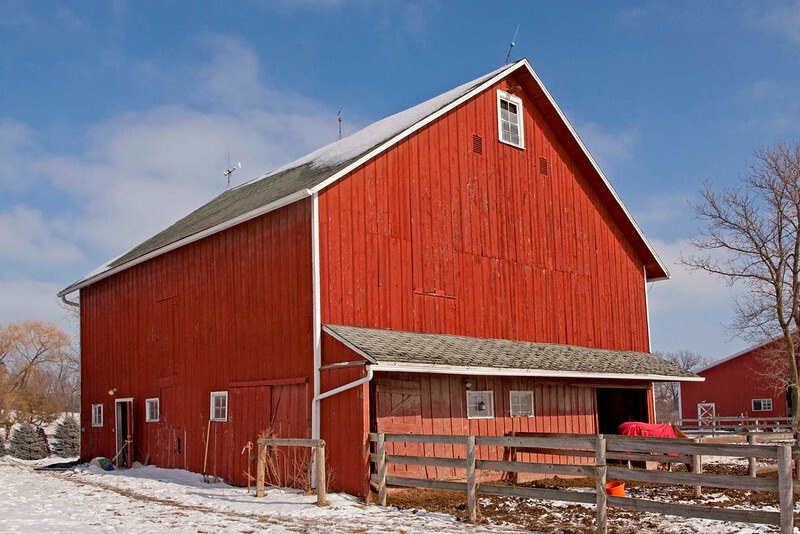 The barn was built in 1922 on land that has been in the same family since 1914. Third generation now living on the farm.This barn has the Dutch style Gambel roof with over hanging roof line for weather protection. The framing for the barn was built with native oak from the barn site. Beams are pegged mortise and tenons. 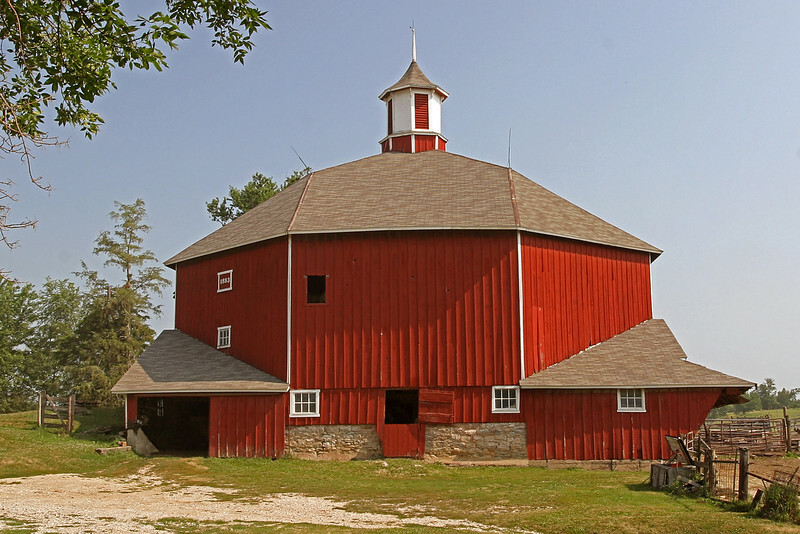 The barn has two ornate metal cupola ventilators. 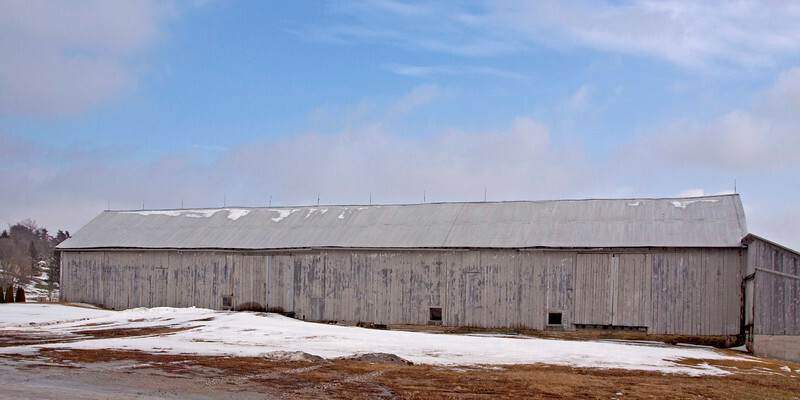 The barn with its lower roofline has withstood major wind storms in 1998 and 2008. 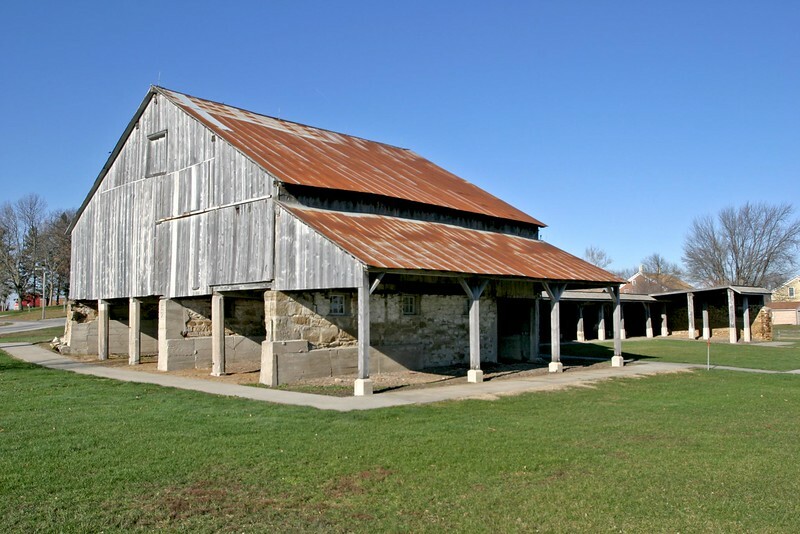 The barn was used as 1/2 dairy barn and 1/2 horse barn. two double doors to upper level. The opposite side has a protecting overhang the lengh of the barn for the lower level. 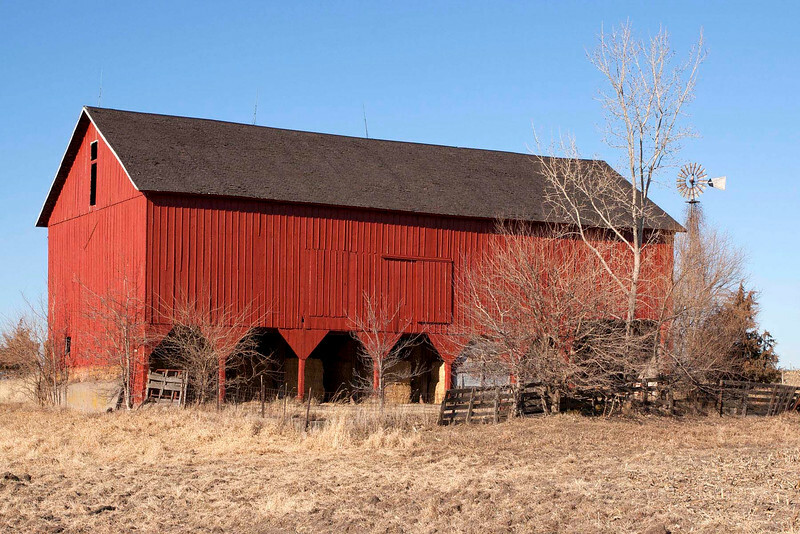 This horse barn in West Amana was built in 1886 and is 130 x 46 feet. Limestone foundation. Bank barn on North side. An overhang on south side for lower level protection from the weather. 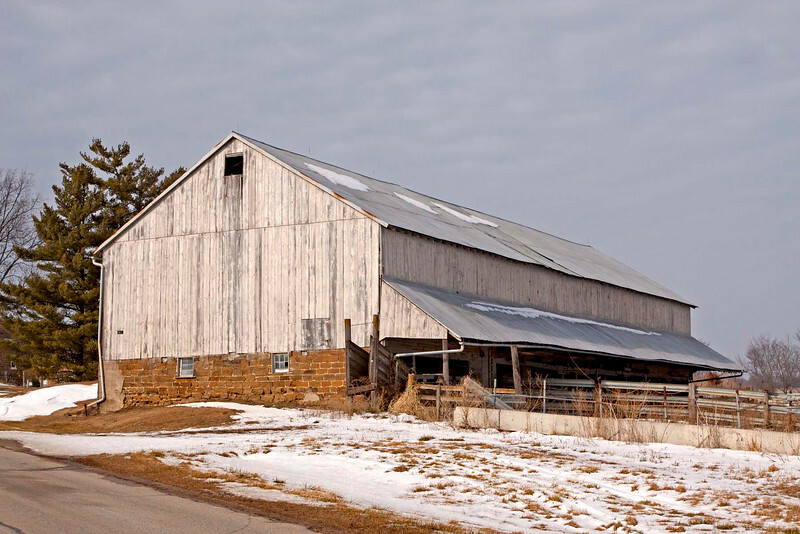 The Kuhstall (workhorse Barn) is in High Amana. 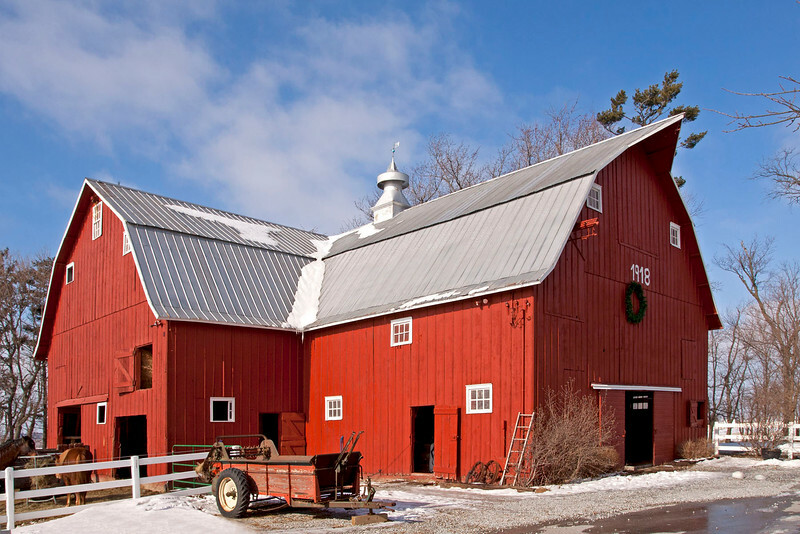 The barn built in 1859 is 177 feet long and 35 feet wide.